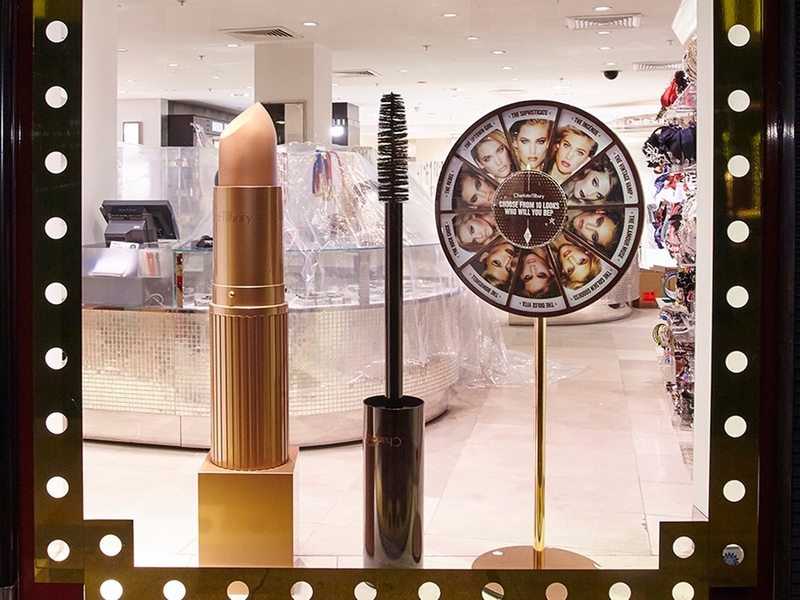 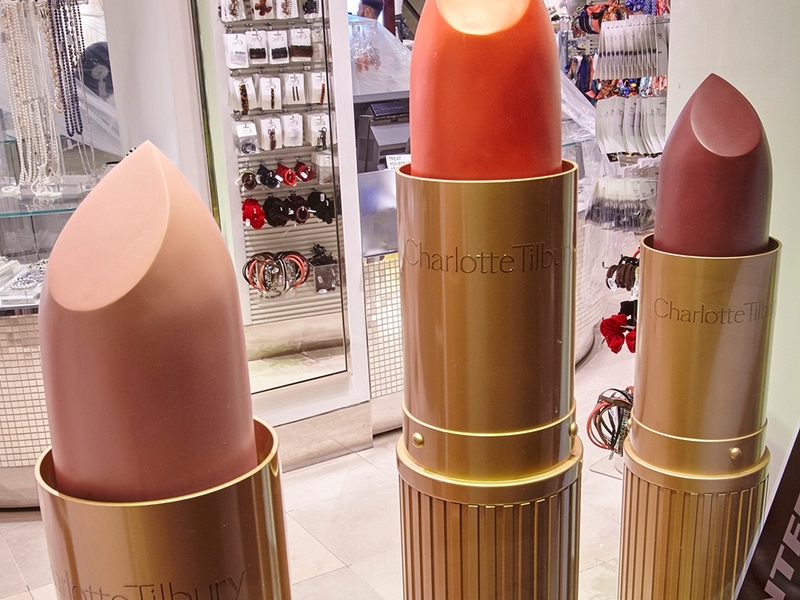 Producing spectacular in-store props and windows for the launch of the Charlotte Tilbury cosmetic counter, we created a series of giant lipsticks in four colours and a giant mascara – all fully branded replicas of the original items. 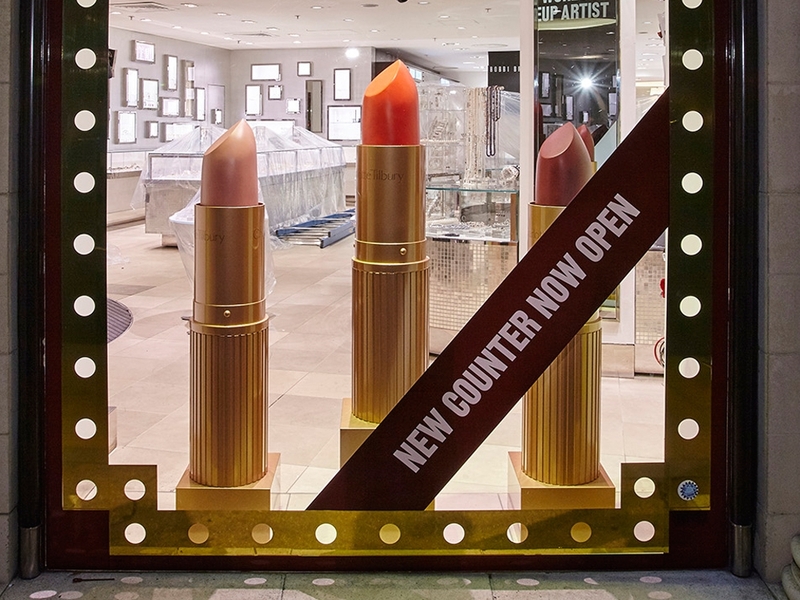 The lipstick case was constructed in extruded acrylic and sprayed in metallic rose gold with the actual lipsticks themselves of polystyrene and plaster, finished with a high gloss. 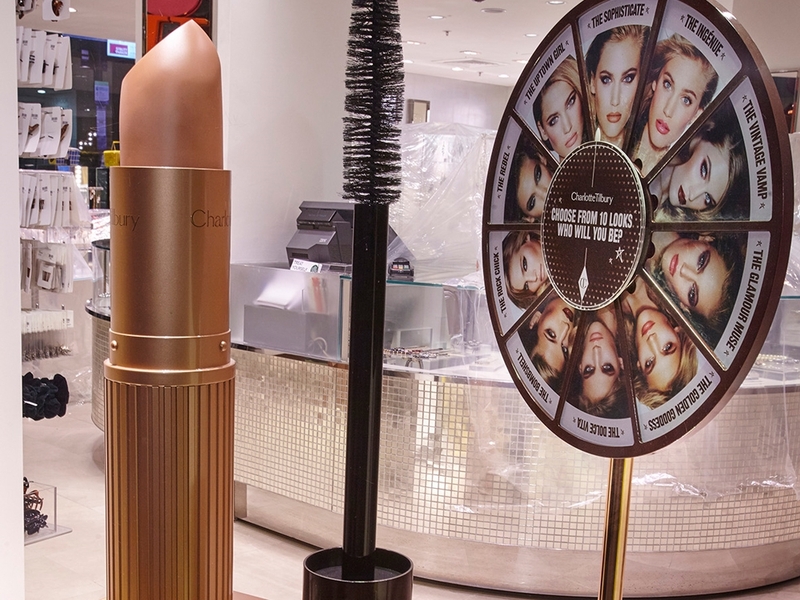 The mascara was also extruded acrylic sprayed deep plum colour in high gloss and featured the star find - an industrial cob web brush - which happened to be just the right size !